Eye Relief: 3.9" - 3.2"
Click Value @100 yards: 1/4"
Leapers/UTG started introducing mil-dot reticle optics from as early as 2003, pioneering the Range Estimating concept as a useful tool for hunters and shooters around the world. 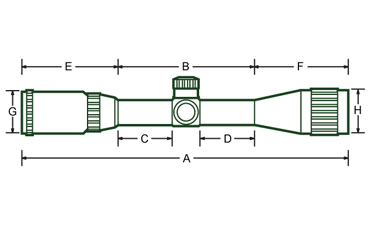 Today, mil-dot reticle is widely accepted and used in this industry. Leveraging our years of experience in this area, we developed and refined the unique Tactical Range Estimating(TRE) mil-dot reticle and offer this feature in almost all of our optics. With some patient learning and practice using our TRE, shooters can enhance accuracy and performance in ways not imagined before. Nine dots are featured spanning each side of the reticle's origin in the left, right, up, and down directions. These provide 18 points of aim across for both windage and elevation. When including the reticle's origin and the inner edges of the reticle's outer duplex a total of 21 points of aim are available. Six dots are featured spanning each side of the reticle's origin in the left, right, up, and down directions. These provide 12 points of aim across for both windage and elevation. When including the reticle's origin and the inner edges of the reticle's outer duplex a total of 15 points of aim are available. Four dots are featured spanning each side of the reticle's origin in the left, right, up, and down directions. These provide 8 points of aim across for both windage and elevation. When including the reticle's origin and the inner edges of the reticle's outer duplex a total of 11 points of aim are available. 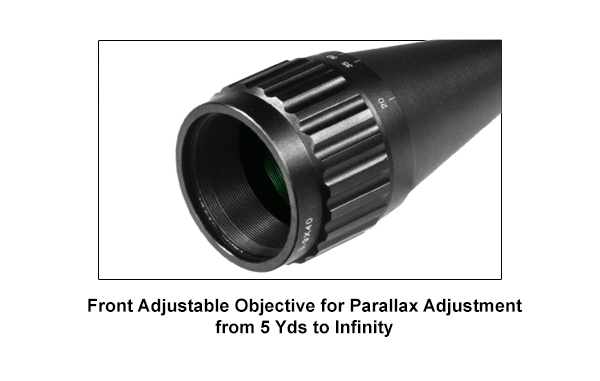 For 4 DOT TRE Mil-dot scopes with a floating reticle, sans the outer duplex, a total of 9 points of aim are available. 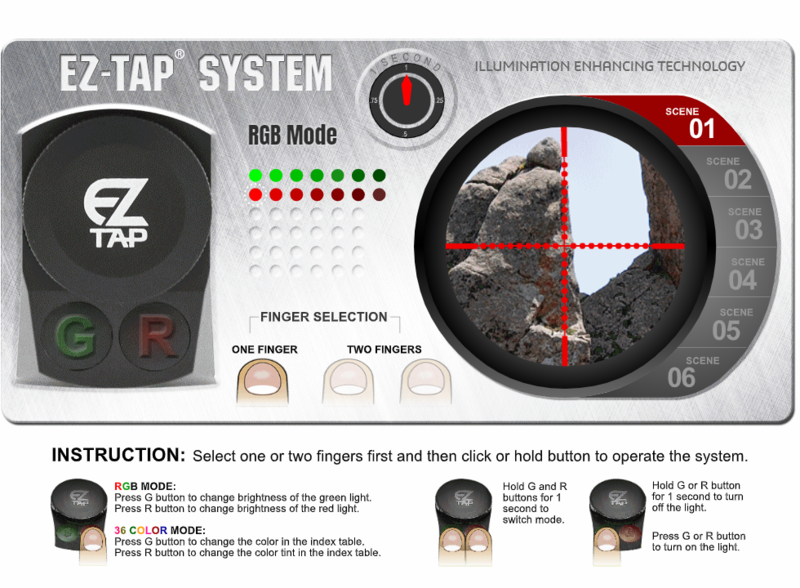 Most user friendly low profile illumination system on the ocular tube for red, green or black reticle, soft and ergonomically designed rubber pads for user to easily tap to the desired level of brightness, Push both buttons to and hold to enter full color reticle mode. 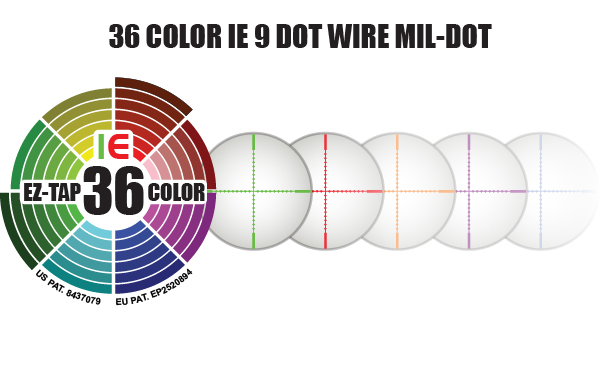 Full color reticle mode consists of 36 different color options for optimal visibility in all environments. High-tech memory feature to return to last color/brightness used, accommodates diverse weather/light conditions. Windage/elevation target turrets with locking ring to lock zero and zero-resetting function to align marking after zeroing your scope. Adjustable objective control ring on objective tube for close range to infinity parallax adjustment. Innovatively designed reticle providing reference points for quick range estimation during shooting. Magnification of the scope is adjustable. Picatinny or Dovetail Mount Included with Product.